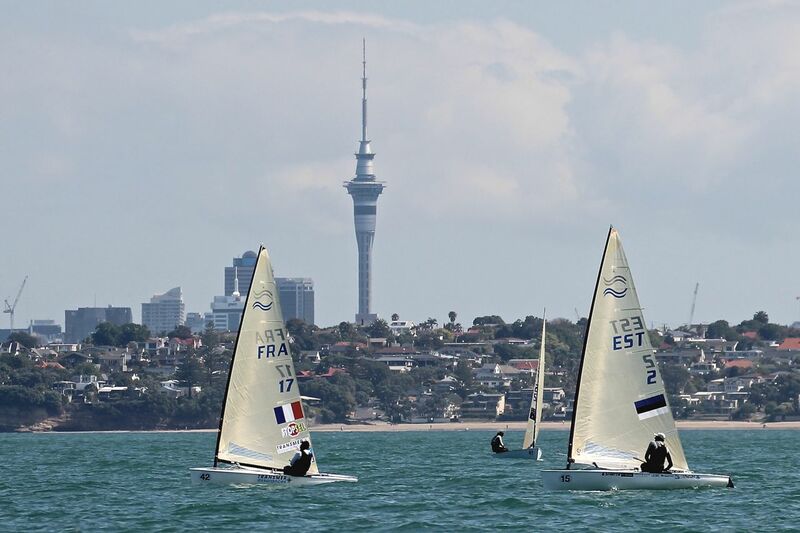 Giles Scott (GBR) extends his lead at the Finn Gold Cup in Takapuna to 18 points after two more races were sailed on the Hauraki Gulf. Deniss Karpak (EST) won the first race of the day to move up to second, while a great day for Tapio Nirkko (FIN) leaves him in third overnight. However the performance of the day went to Fabian Pic (FRA), who followed up a second place in the first race with a race win in the second. 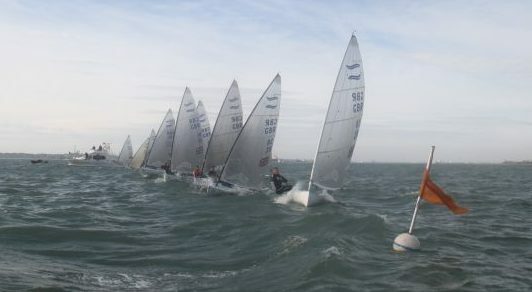 The BFA representatives all had a good day, Giles increased his lead despite an 8th, James Hadden sailed a blinder to finish 4th in race 4, Ben Cornish moved up to 7th OA with a 11,5 and Ed Wright is in 4th OA after a 10 and a discarded 56. It was a long day on the water in Takapuna. 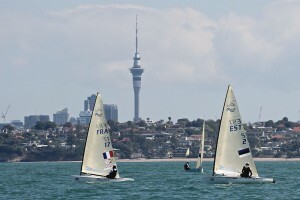 The day started with a postponement on shore, but when the fleet was sent out towards Rangitoto, the wind died and clocked, so the course was moved back to the Takapuna side. 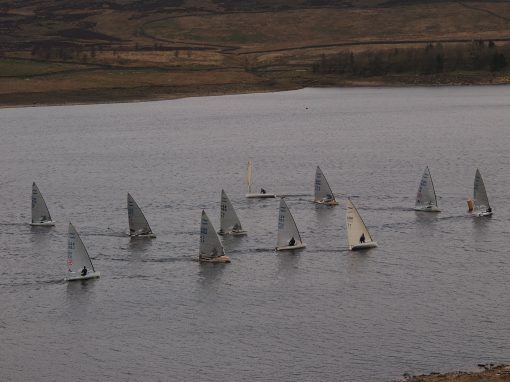 It was mid-afternoon before the first race got away after a few false starts. Eventually two races were managed out of the three were originally scheduled. The fleet didn’t come ashore until past 18.00. 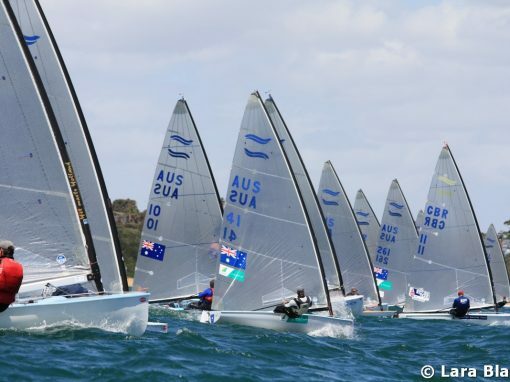 In race 4 it was a French 1, 2 at the top mark as Pic led Jonathan Lobert (FRA) around the top mark from the right with Pablo Guitian Sarria (ESP) and Karpak not far behind. Karpak had moved into second at the gate and took the lead on the second upwind to lead down the final run to win the race from Pic. Sarria followed across in third while James Hadden (GBR) sailed a spectacular race to cross in fourth. 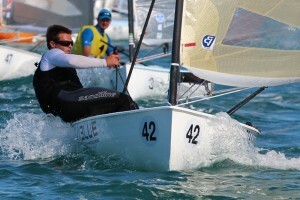 Regatta leader Scott moved up from around 15th at the top to eighth at the finish. The breeze was coming and going, but the fantastic fifth race was sailed in a solid 7-9 knots and beautiful clear skies. This time it was Nirkko in the lead at the top, with Pic in second. Scott rounded third but that was as high as he got. Ben Cornish (GBR) passed him downwind, while on the second beat Scott passed Cornish but also got passed by Croatian youngster Nenad Bugarin (CRO). The only change on the final downwind was Bugarin moving up to second, while Pic took an emphatic victory that clearly shows potential for his future. It was also a day for a lot of mixing it up and changes on the leaderboard with a lot of big scores picked up by various sailors. First day leader Andrew Murdoch (NZL) could only manage a 43, 37 to drop to 13th, while Ivan Kljakovic Gaspic (CRO) picked up a DNF, for his second yellow flag, and a 24th to drop to 12th. 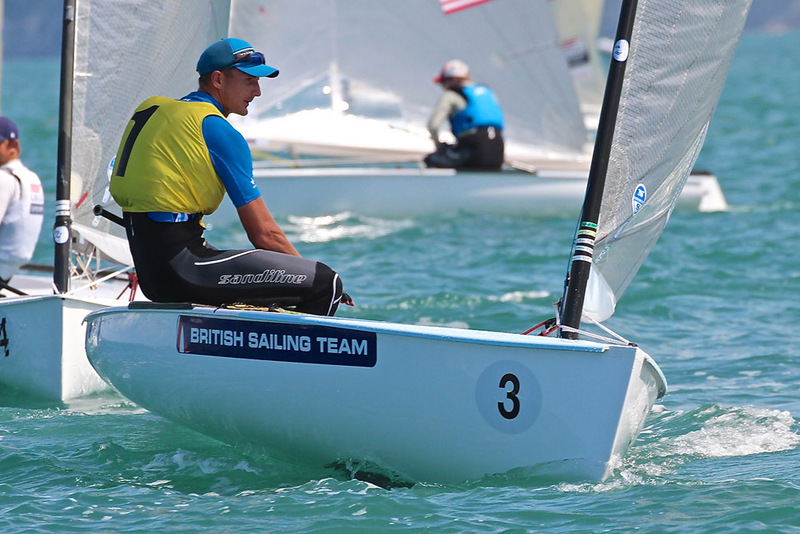 Ed Wright (GBR) picked up a 54th in the second race, while fourth overall this morning, Ioannis Mitakis (GRE) drops to 15th after a 33, DNF. The high scoring day for many also included Alejandro Foglia (URU), who is one of many sailors hoping to qualify for the 2016 Olympics this week. He is currently in 35th place, and ninth nation, some way outside the qualification zone. The star of the day was undoubtedly Fabian Pic. Now in fifth place overall, he also has a huge lead in the Junior fleet, 28 points ahead of Bugarin, with the World Junior Champion Ondra Teply (CZE) in third, another nine points back. Racing continues Friday with three races scheduled again. 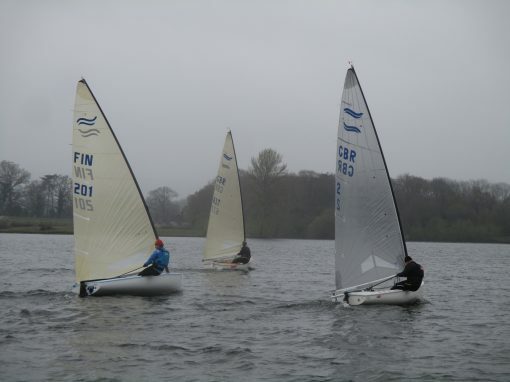 With more wind forecast by some, hopefully the championship will get back on track.